In the United States, this upcoming weekend is host to two widely celebrated holidays — Thanksgiving and Black Friday. As you probably already know, Thanksgiving is celebrated in other countries to varying degrees, but what you may like to know more about is if Black Friday is celebrated other countries too, or if it's one of America's exclusive holidays. True, there's no religious or cultural connection to the holiday, so seemingly one might deduce that it would either be internationally observed, or ignored all-together. Typically speaking, holidays that have shared or international ties are celebrations of historical events, memorials or anniversaries — not capitalist events where retailers are the churches and sale signs are the sermons. Despite conflicting stories about the origin of the term Black Friday, to us Americans, it's always been regarded in the same way. Sales sweep national retailers and small businesses alike, and they bend their hours to accommodate the masses those low prices attract. It's a that one day of the year that you might be tempted to wake up at 3 a.m. to get a great deal on that flat screen TV that you've been eying for months and couldn't otherwise afford. According to various reports, Black Friday was created as an opportunity to take advantage of the amount of people who are off work and gearing up for the gifting holidays, by dropping prices on commonly gifted items. In America, Black Friday has always been tethered to the tail end of Thanksgiving — so what about other countries that don't even celebrate Thanksgiving? Do they partake in the Black Friday madness? Well, as it turns out, the notion of mass sales and a collaborative shopping effort by communities is quite appealing to retailers internationally. Nearly 20 different countries have now implemented a Black Friday sale of their own: Canada, United Kingdom, Mexico, Australia, New Zealand, China, Japan, Russia, India and Pakistan all celebrate Black Friday on their own soil. Actually each year it seems like a few more countries jump on the sale wagon. Whether it's to discourage their citizens from border-hopping or online shopping for American deals and turn that profit internally, or simply to get in the spirit of the holiday season kick off, it's definitely becoming more and more popular. According to a report from The Atlantic, people from across the world are not only celebrating Black Friday on their own turf, but they're making flight arrangements to head to the states to get in on our own Black Friday — yeah, it's that big of a deal. 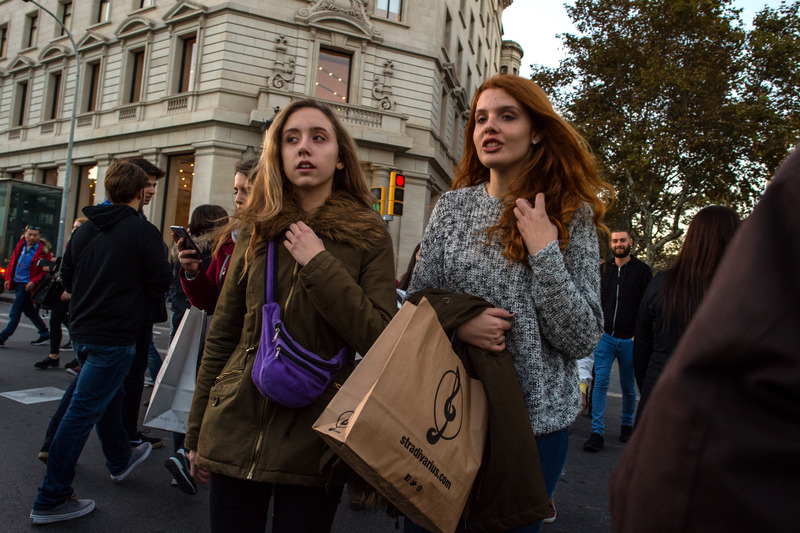 As Black Friday becomes more of an international craze, crowds and participating retailers are bound to spread as well. If this notion scares the crap out of you like it does me, you might want to consider staying home and doing some Black Friday shopping from the comfort and safety of your laptop screen. Happy shopping!